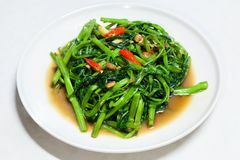 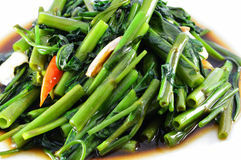 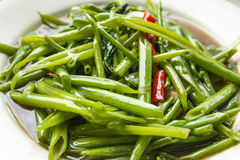 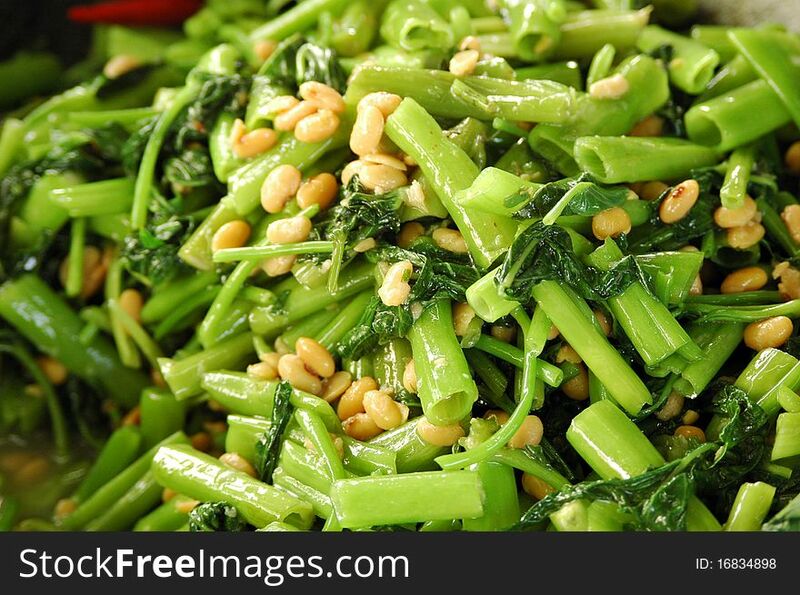 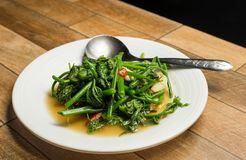 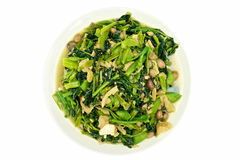 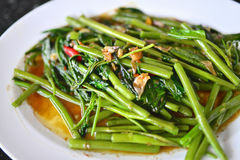 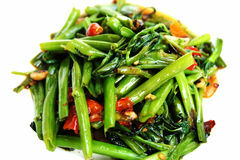 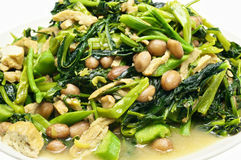 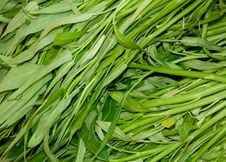 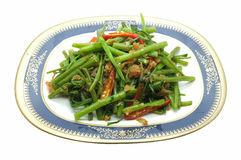 This vegetarian dish, using morning glory, is called pad pak bung fai daeng in Thai. 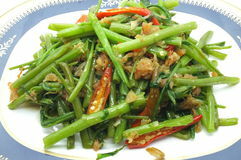 The last part fai daeng refers to the red flame that leaps up when you throw in the vegetables. 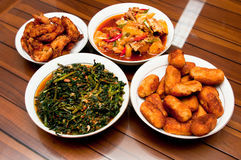 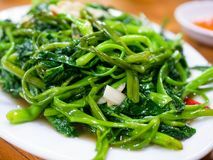 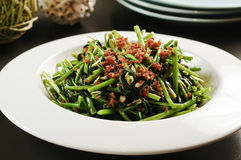 You can also do a version using minced pork. 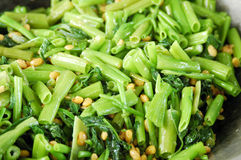 The ingredients for the vegetarian version are shown below. 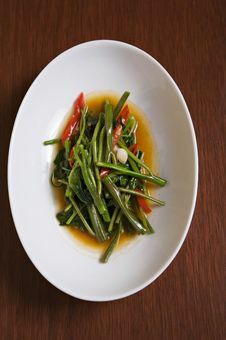 They are morning glory, garlic cloves and bird's eye chilies.